This particular belt is a single ply of leather. Versacarry also makes double ply leather as well as some other companies which may insert steel or kydex into the belt. The belt is available in either black or brown with a nickle plated buckle. At .2″ thick the belt is thicker than the average belt you would buy from a clothing store. Having said that, the belt didn’t seem to offer much more support that the typical clothing store belts I had been previously wearing. The nickle plated buckle simply snaps onto the leather belt. I did have a concern that it would become unsnapped. However this concern never became a reality. During my months of wearing the versa carry single ply concealed carry belt the belt remained secure, and stayed together. With all belts, it’s a good idea to purchase a size or two larger than your pant size. That is especially true when purchasing a belt for inside the waistband concealed carry. The firearm will add inches to your waist line. The Versacarry website has sizing directions on their website. In summary, the Versacarry single ply leather belt was a minor improvement over a typical clothing store belt. 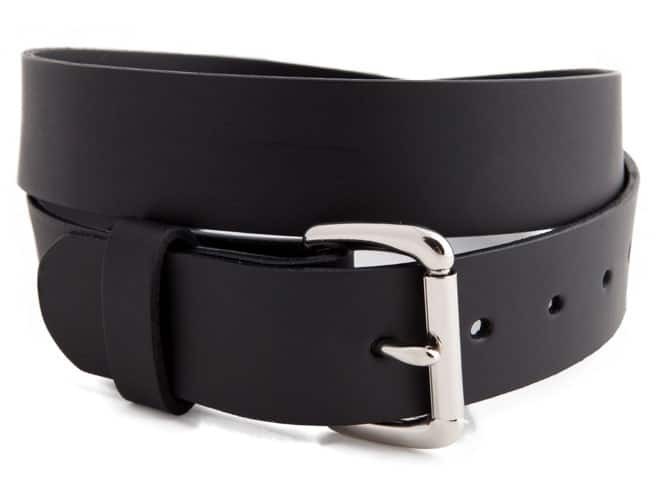 Because the versacarry single ply leather belt was on sale, making it about the same price as a typical clothing store belt, it was absolutely worth the price. In future articles I will test and review thicker double ply belts, and see if that makes any difference. Be armed. Be trained. Be Alpha.